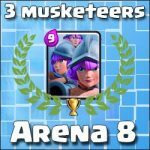 Arena 3 the best deck ever | Clash Royale fan-site! Not so many cards are available at the initial stages of the Game, so there is not much to choose from. 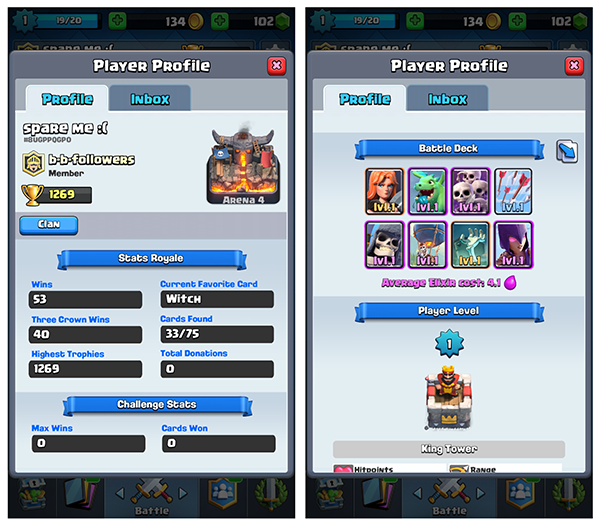 As a rule, in the first three arenas players don’t have legendary cards in their disposal and form their battle decks with epic, rare and common ones. 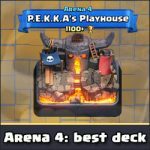 In this post, I described the best deck for Arena 3 in Clash Royale with the help of which I easily promoted to Arena 4. Note: Please pay attention that all cards in my deck has only first level and my King’s Tower has 1st level also. Giant Skeleton. One of the two key cards in the deck. Big and powerful bomb that skeleton brings with himself makes this character useful as in the attack so in the defense. Balloon. The second key card in the deck! Works great in pair with Giant Skeleton. While all enemy troops attacks skeleton, Balloon attacks the enemy tower. Valkyrie. 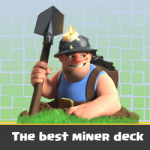 Card for defense. This character excellent cope with swarms of enemies with low hitpoints. For example, drop Valkyrie among the skeletons army and she destroy all of them just by one spin. Baby Dragon and Witch. These two cards are good as for defense as for attack. 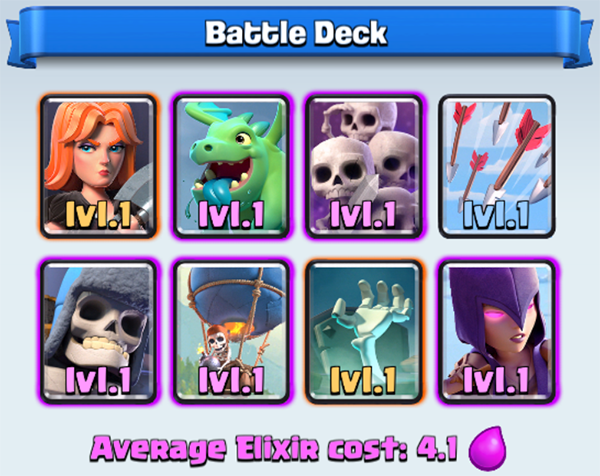 Ability of Witch to deploy skeletons onto arena makes her a serious threat for such units as Mini PEKKA, Prince, Giant, etc. Arrows. A good and accessible spell card. 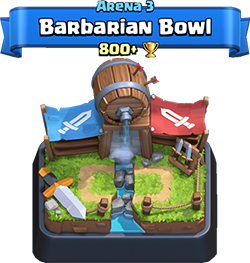 With the help of Arrows, we can easily cope with bunch of troops with low hitpoints level. Skeleton Army. For defense purpose mainly. Tombstone. Useless in attack, but very useful in defense. Great in distraction of Balloon, Giant and other characters that attacks only buildings. Due to fast speed of skeletons deploy can resist against Mini PEKKA, Prince, Knight, etc. That’s all. 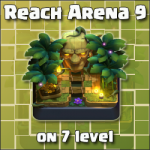 With the help of the deck described above, I managed successfully passed third Arena, being a first level player only! Good luck!